A new Chinese-learning game released on Kickstarter this week aims to teach Chinese to keen language-learners without a teacher or a curriculum. 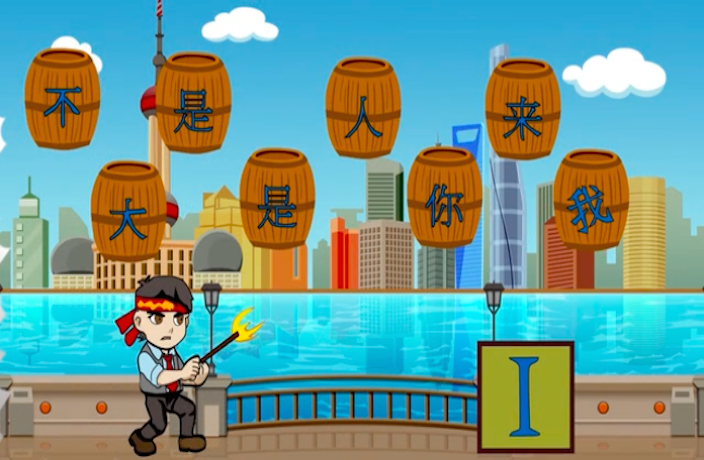 The game, Mandarin Shooter Quest, allows users to build their vocabulary by learning new words and grammar structures. Users have to match words and test their memory. By advancing through different levels, they can learn up to 1,000 words. Mandarin Shooter Quest is a 2D shooting game that founder Will Abbott likens to Angry Birds or Candy Crush. The game uses recall learning methods to teach the user Mandarin characters, rather than relying on immersion or interactive methods. The game will be available on the App Store, after the team raises AUD15,000 on their Kickstarter platform. Abbott, a Melbourne-native who has been working in China for the past ten years, came up with the idea after realizing that expats living in China were struggling to learn Mandarin, despite the plethora of Chinese language programs that are available. The game aims to help expats who have become too focused on work or distracted by the nightlife (hello, Yongkang Lu), and no longer have time to learn the language. However, for expats living in China, the struggle to communicate and get around without Mandarin is real. According to the latest InterNations Expat Insider Survey, 46 percent of respondents agreed that it is difficult to live in China without speaking the language. To access an early release of the game, head to their Kickstarter page . A donation of AUD10 gets you your very own Chinese name, with greater donations allowing you to become a character in the game and help design new levels. Watch Mandarin Shooter Quest's introduction video below.